"Awaken, My Love!" is a dyed-in-the-wool funk album, drawing directly from artists like George Clinton or Bootsy Collins. Instead of letting this influence slowly seep into his work, a la We Got it from Here... Thank You 4 Your service or To Pimp a Butterfly, he just decided to go with the funk whole cloth. Surprisingly enough, it works on a fundamental level. The production of the album is fantastic, with piano and snares ringing in the background, and for the most part the mixing is equally strong. Gambino himself does a really good job of melding into the sound. Barring a few tracks, I don't exactly feel him at all. Which I think works in two ways. It is great because it allows the music to shine through and capture the listener. But on the other hand, it leaves the album feeling directionless. He is great on "Me and Your Mama" and "Baby Boy" which stand out by being highly personal songs that ring true of his relationship with his son. 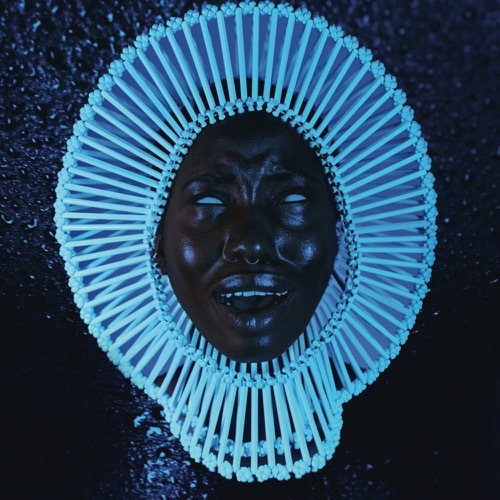 "Redbone" stands out with a certain distinct sexiness that is so emblematic of the funk sound. It's probably the best track on the record, I just wish that this strength carried through the finish of the album. But at the same time as you have great tracks like these, you have a track like "California", which is aggressively bad. The lyrics are terrible, and it seems like he is trying to do funky mumble rap and failing at both. It's disappointing because if you took out his over autotuned voice, the song itself wouldn't sound bad, but the lyrics simply ruin it. It has no place in a finished project and should have been axed a long time ago. As I listened, I kept waiting for the album to come together and go somewhere, but it never really did. It is a funk record, and that’s about it. He didn't use the genre to say anything that he couldn't have said in a different format, and while it was nice to see some experimentation out of him, I would also like to see a sense of purpose to be brought with it. Glover is undeniably talented, and he shows it with his musical chameleonism here. But it begs the same question as most of his other work: What is the point?